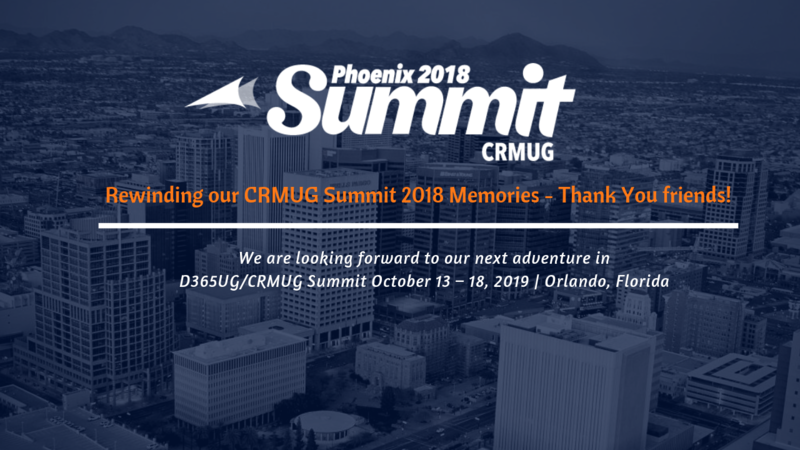 Rewinding our CRMUG Summit 2018 Memories – Thank You friends! Well, can’t believe #UserGroupSummit is over and we are back home. Year on year it just continues to grow in numbers, groups, sessions and ofcoz more Dynamics friends and leads for us. It’s time to rewind and Thank everyone who visited and interacted with us at our booth and our session. A special thanks to the CRMUG Summit team for delivering another exceptional experience. 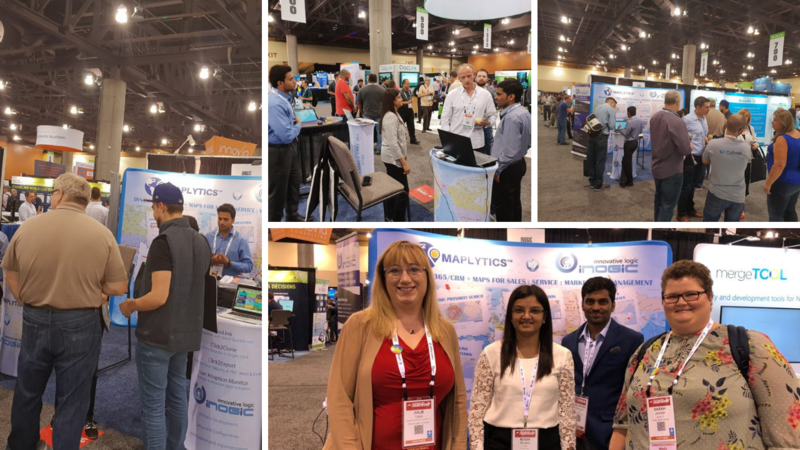 Summit has always been a launch pad for showcasing new releases of our Dynamics 365 Apps and this year too we had a launch of our solutions Maplytics October 2018 Release, Click2Export and Click2Clone at Summit. Not just these our array of other innovative solutions for Dynamics 365 Customer Engagement including InoLink: QuickBooks, User Adoption Monitor, was also very well received and allowed visitors to understand how innovation and automation with all these can not only save time but also help them to achieve the ROI they want! We also presented a Partner Solutions Showcase on how integrating Maps with Dynamics CRM can enable organizations to enrich their business data and unveil hidden location insights for powerful Map Visualizations, Geo-analytics, Routing, Appointment Planning, Shape Layer, Territory Management and more in Language of their choice. 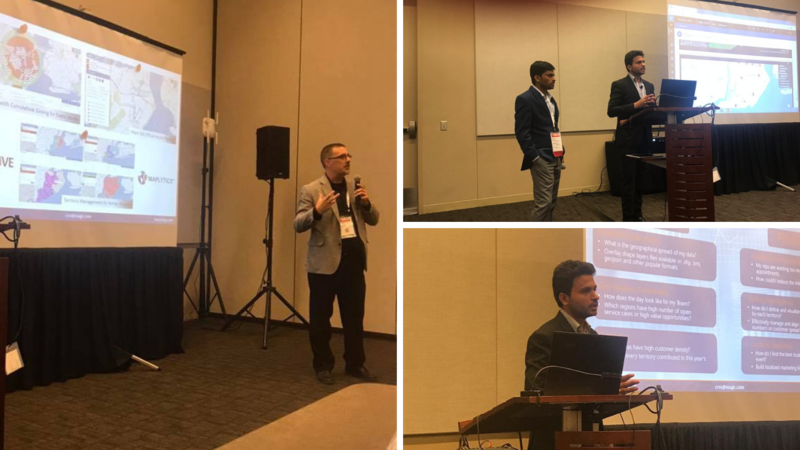 We are so grateful to our Partner, StratusLive who joined us during the session and explained use cases and benefits of how a combination of Maplytics and Dynamics CRM has been quite helpful for the Non-Profits segment, their primary area of focus. 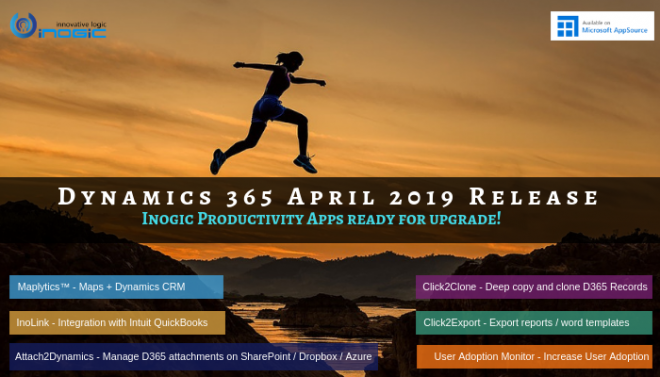 Meanwhile, you can reach us on crm@inogic.com to discuss and understand how our solutions and Dynamics CRM development services can help you to get the most out of your Dynamics 365 implementation!